Bad Boyz Charter simply amazing fishing ! 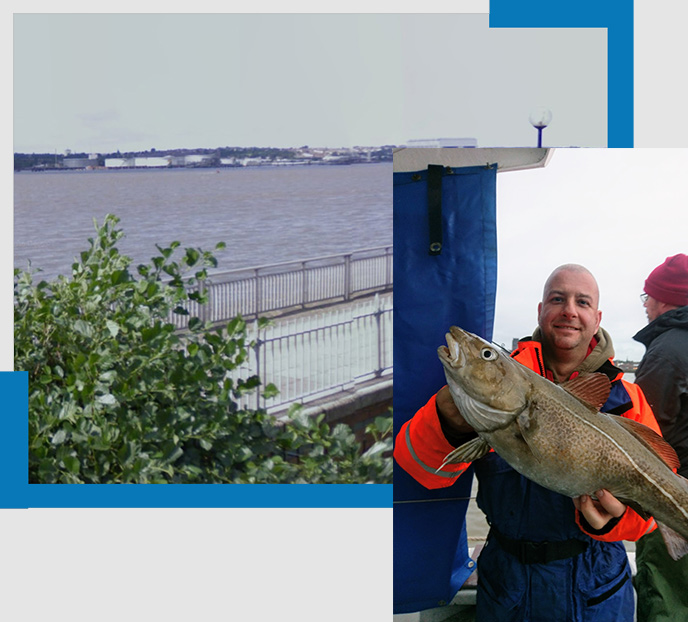 The River Mersey - new to Bad Boyz II for 2017, from mid October through to mid March we will be working along side some fantastic skippers running in the Mersey fishing the Winter Cod season. Every year the Mersey produces a great stamp of Cod, ranging from 1-20lb along with great action on quality Rays, Dabs and Whiting. This will be Bad Boyz II first Winter season fishing from the Mersey although not Aaron's. Aaron has fished the Mersey for the last 12 years from competitions to skippering a friends day boat so he has gained great fishing knowledge of the area which will only grow with seasons running the boat from there on a daily basis. A strong soft top rod, 8-10ft coupled with a suitable casting reel, 7000 sized multiplier / 1000 size fixed spool. Rigs wise - Running ledger, 2ft hooklength with a 3/0-4/0 pennel set up for Cod and Rays. During slack water period it is great chance to boay some large Whitings and Dabs, A 2up/1down set up will be perfect. Baits - Black lug worm, Squid, Peeler crab. Weights - A selection of grip leads 6-10oz and Plain 8-12oz cannonballs. All rigs and weights are available to purchase on board.